The Federal Government on Thursday accepted offer by the Japanese Government to assist Nigeria to develop capacity in production of animation and children films. Minister of Information and Culture, Alhaji Lai Mohammed disclosed this on Thursday in Abuja at a meeting with Mr Sadamoto Kusaoke, the Ambassador Extraordinary and Plempotentiary, Embassy of Japan in Nigeria. Mohammed said the government also welcomed the offer by the Japanese Government to accept Nigerian movies in Japanese film houses, in particular at the annual Tokyo International Film Festival. He said there was dearth of animation and children film in Nigeria, and the offer would go a long way to develop the sub-sector. The minister noted that developing animation films would curtail the trend where many children watched films that were not appropriate for their age. He noted that Nigeria being a diversity of many culture had abundant folklore that could be developed into animation films for local consumption and exportation. According to him, Nigeria film industry is the third largest producer of films in the world and government is prepared to develop the sector. The minister assured that both governments would work out the modalities for the cooperation and cultural exchange. Mohammed said Nigeria had abundance of talents with imagination on animation and children films, but the challenge was the lack of technology for its development. The minister seized the opportunity of the meeting to explain to the envoy the economic and developmental programmes of the Federal Government. Earlier, Kusaoke had said that Japan was prepared to look beyond economic relations with Nigeria and expand exchange in culture and in film industry. 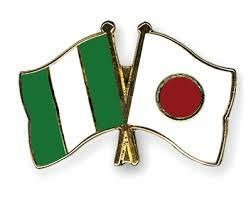 He said developing the culture and film sector would enable the Japanese to see the other face of Nigeria and vice versa.